Home » Just another day in Japan » All About Love Hotels! Ground Control to Major Tom: Take your protein pills and put your Trojan on! Where I come from, the kind of hotels that charge by the hour instead of the night are ultra-shady and tend to get raided by the cops a lot. Not in Japan! 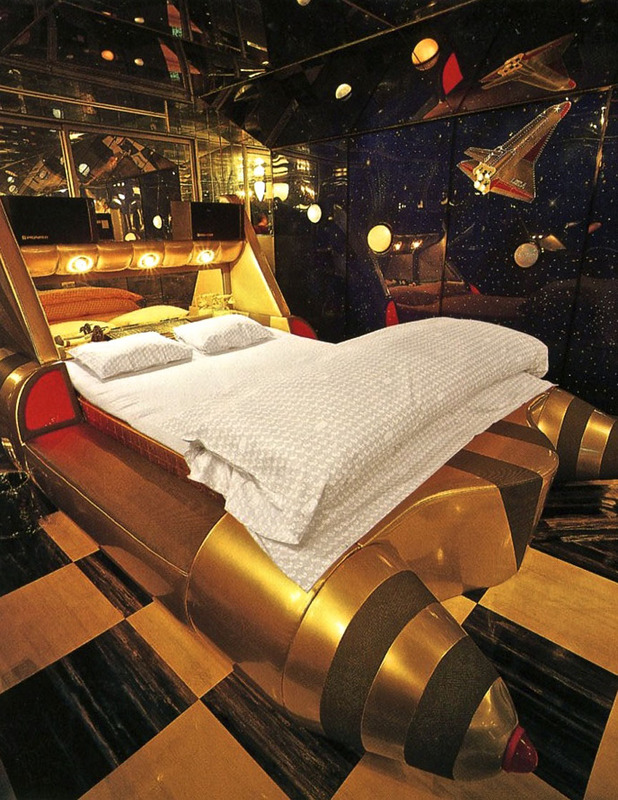 In the country where most people live in quarters that are far from spacious and even further from private, love hotels aren’t just common, they’re everywhere. As you’d expect, anyplace that has different rates for “rest” and “stay” attracts a fair share of couples who are two rings shy of wedded bliss. But they’re also used by people who go with their significant others – not only do most Japanese not have cars (making classic Paradise By The Dashboard Light action a little hard to come by), young people tend to live at home with their parents until they get married. Snogging in your Disney Princess bed in front of your stuffed animal collection with ma and pa watching sumo in the next room is, shall we say, not much of a recipe for adults-only passion. 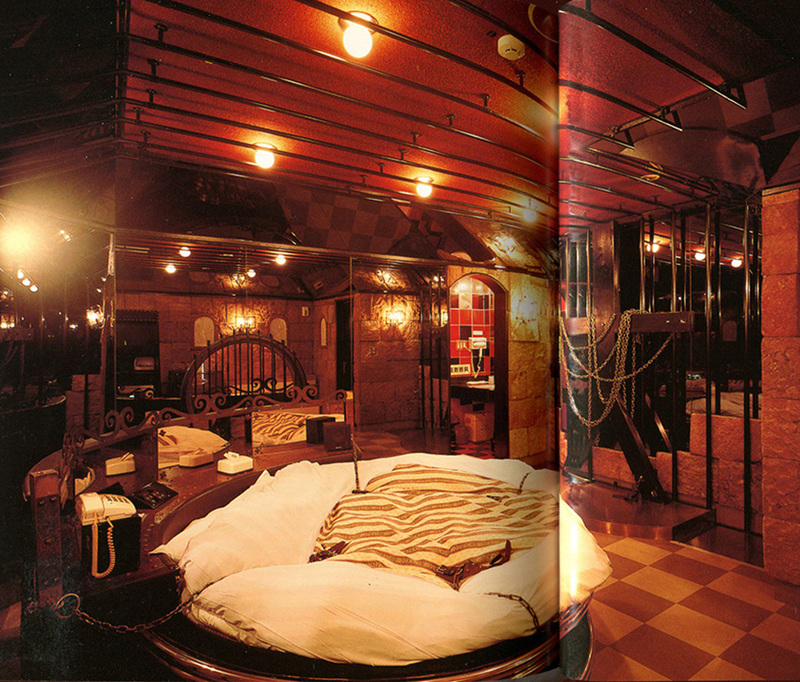 And it’s an incredible business – a good love hotel averages a 250% occupancy rate! (Which means, of course, that they tend to sell each room an average of 2.5 times per day.) The rates are lower, of course, for a two hour rental – usually around $40 – $65. Staying overnight costs about the same as an inexpensive regular hotel ($120-$150). 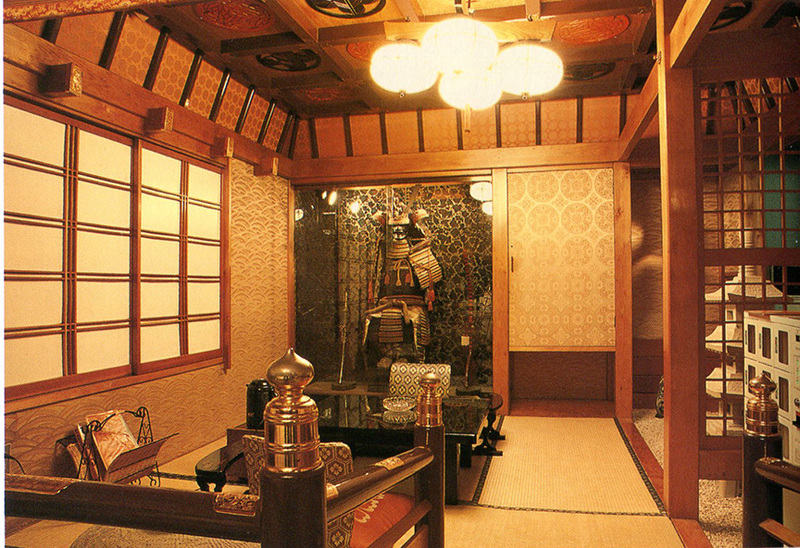 For those whose quirks include feeling like Edo-Era Big Brother is watching. With so many hotels all competing for the commerce of love, naturally some cater to…specialized interests. And my favorite: the one papered in glow-in-the-dark bursting comets. A-yup. All photos from the ever-entertaining Rabuhoteru: Satellite of Love, edited by Koichi Suzuki, published by Aspect Lightbox. Love it! My first apartment was one room, no bath, squat toilet, no aircon, and that first summer was hot. 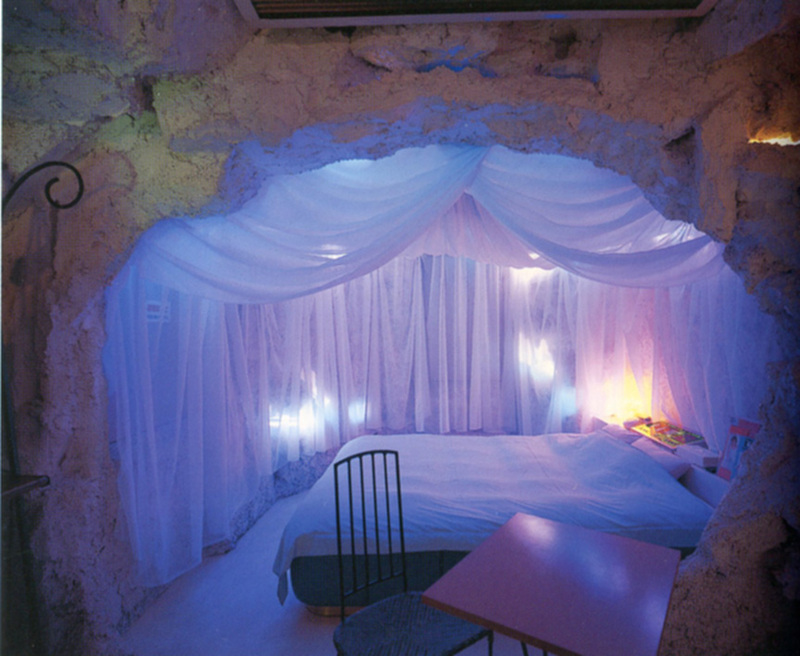 Hubby and I (pre-rings at that point) often spent the night at love hotels, not to snog, just to sleep! Ahaha, I can totally understand that! Excellent strategy, actually. 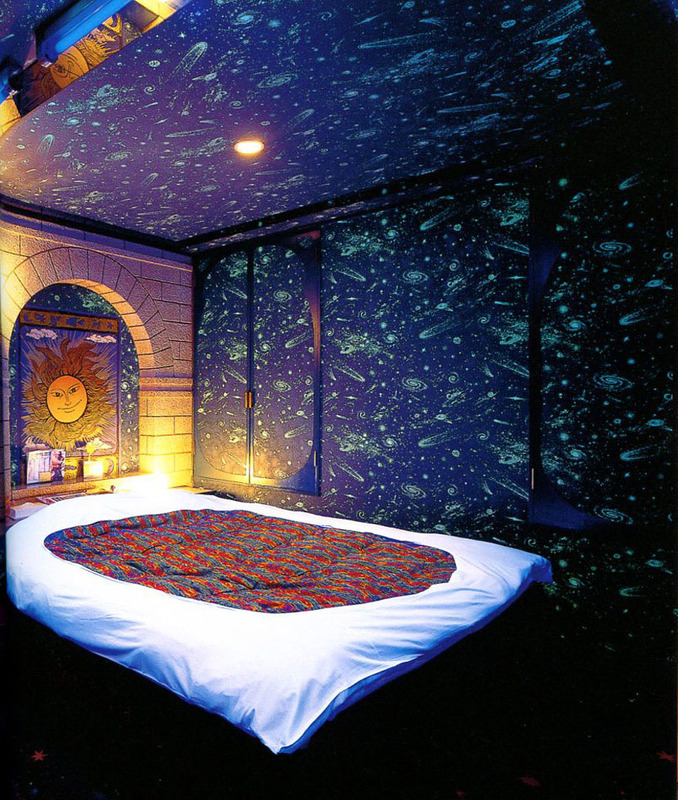 I’ve heard that the rooms are actually pretty comfortable, and for Tokyo, comparatively inexpensive. Drawback is that you can’t pay the stay rate until 10 p.m., right? Yeah, we used to use them when we went on road trips. It was sometimes hard to find something to do until 10:00, but they are affordable and don’t lock you in to the lovely-dinner-repusive-breakfast deal at ryokan.